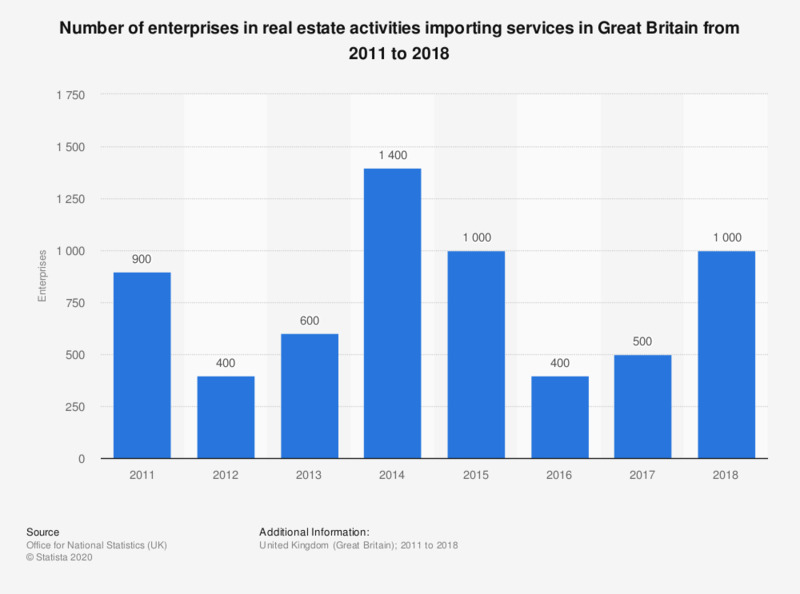 This statistic shows the number of enterprises in real estate activities importing services in Great Britain from 2011 to 2017. The number dropped to 400 enterprises in 2012. It increased again in the following years and amounted to 1,400 in 2014. By 2017 it fell down to 500 enterprises.